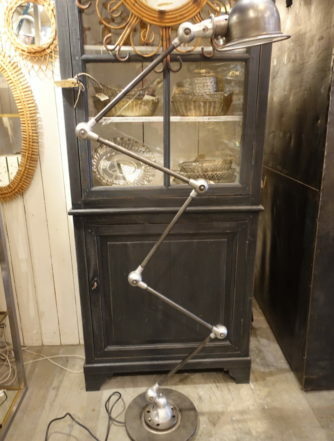 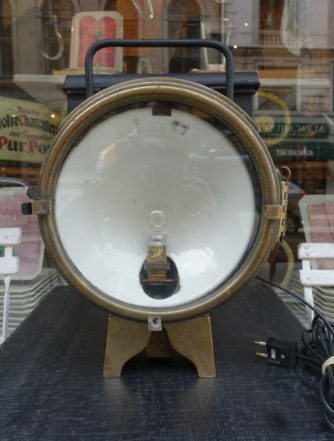 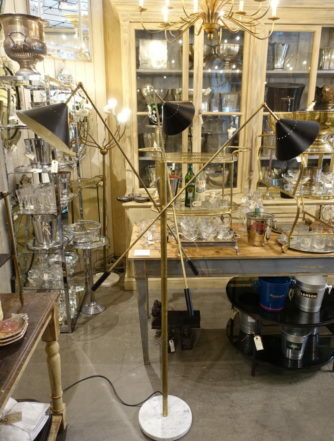 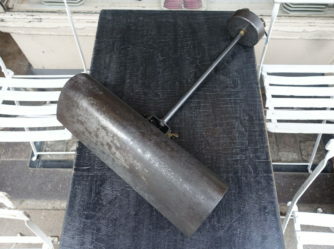 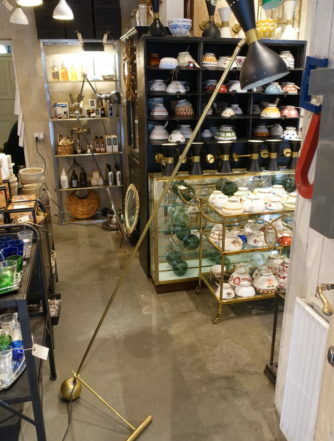 Fabulous mid century cinema lamp, originally from Italy. 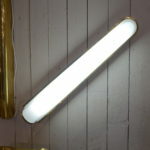 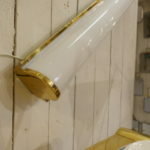 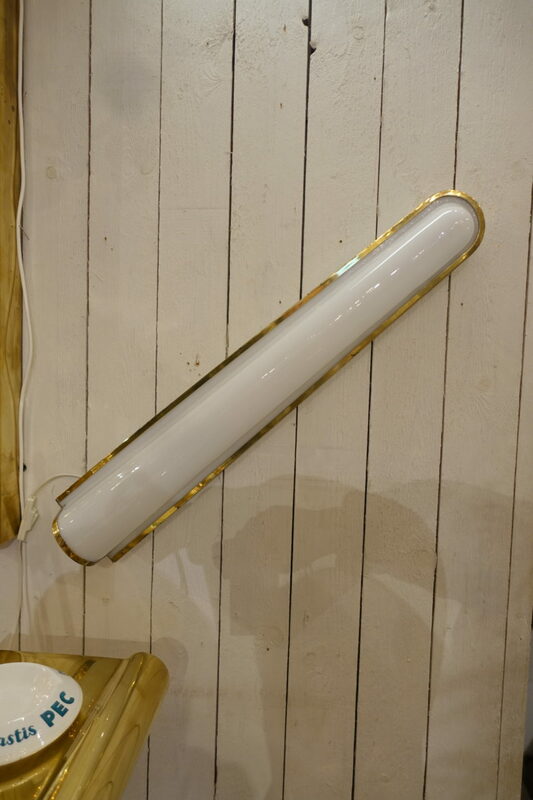 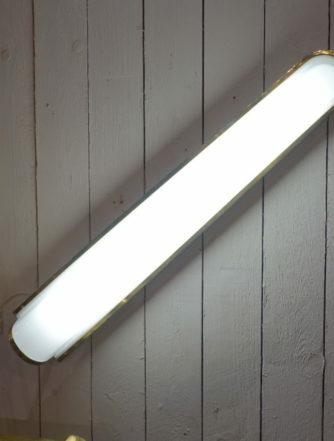 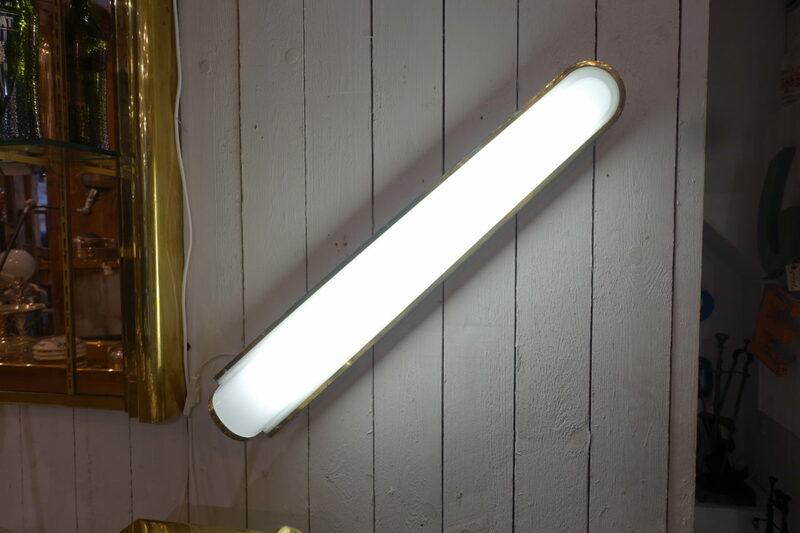 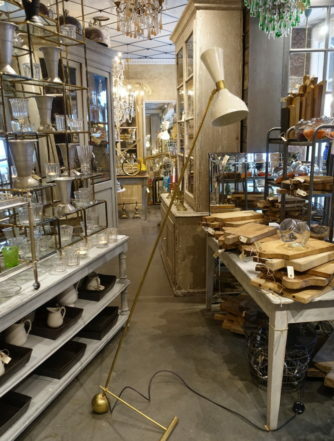 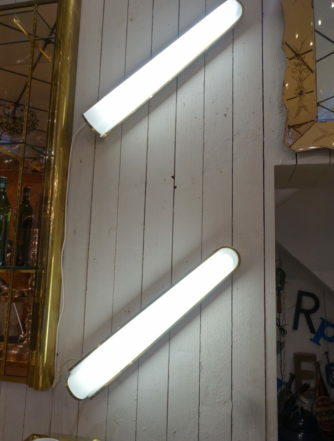 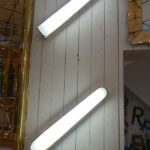 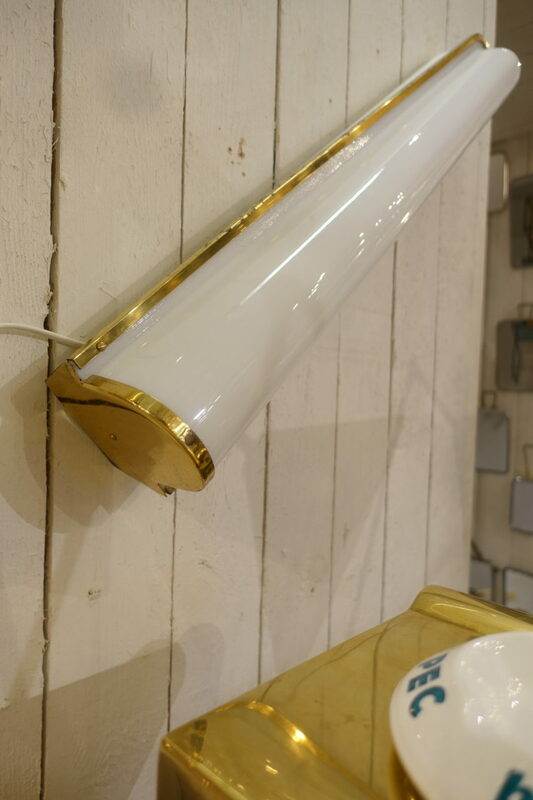 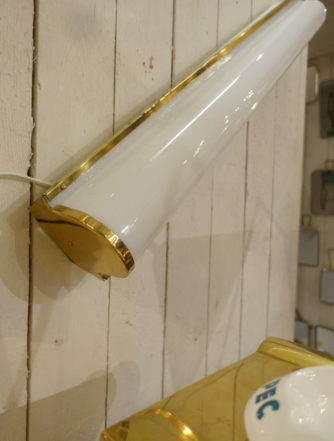 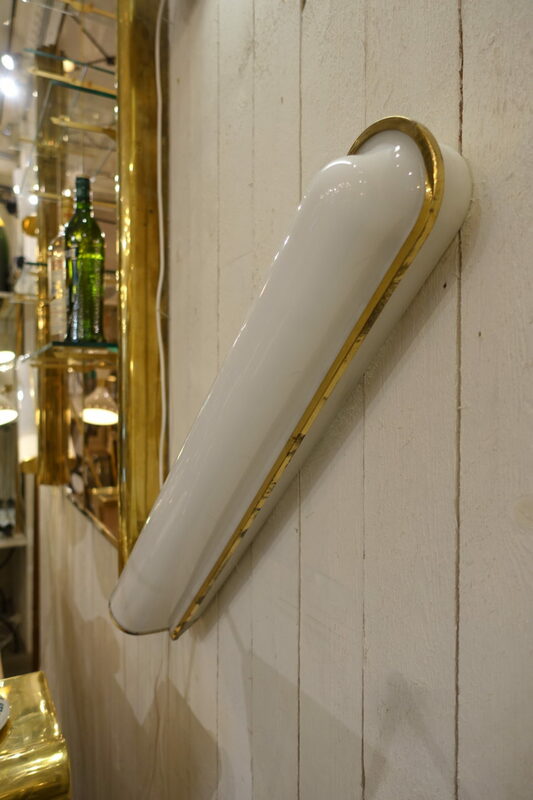 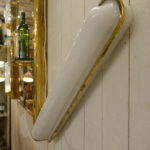 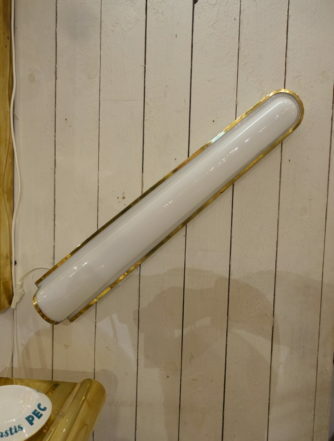 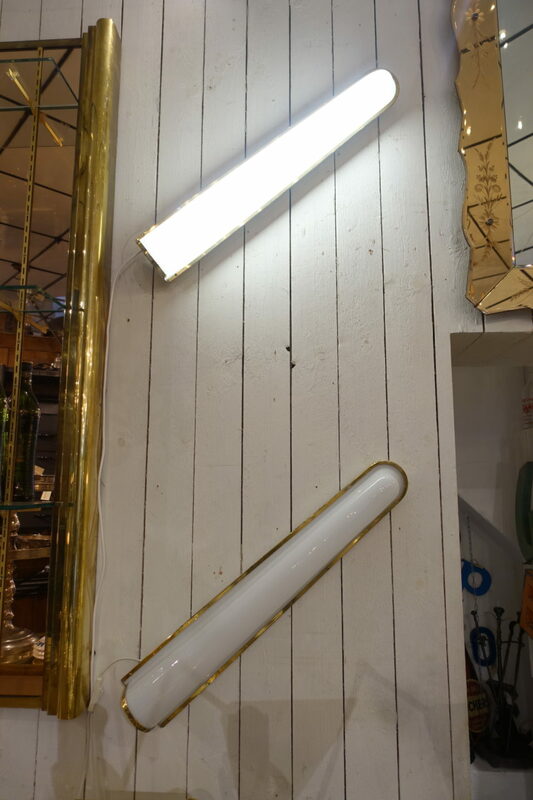 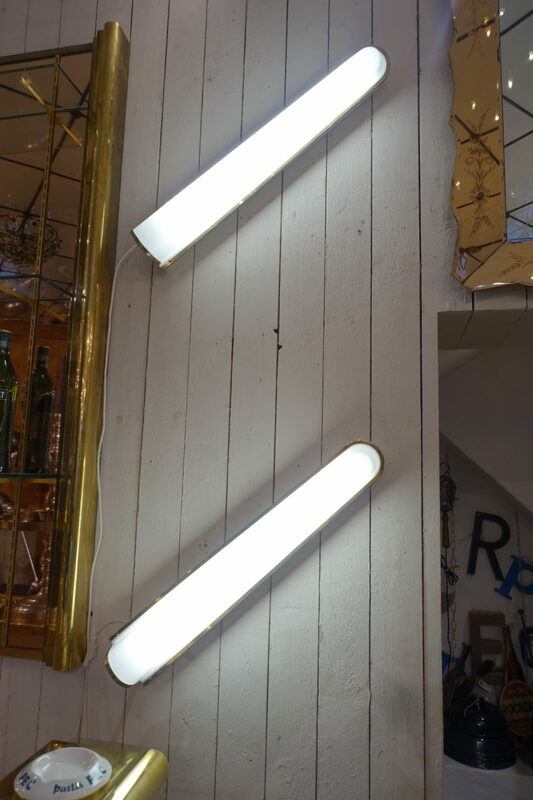 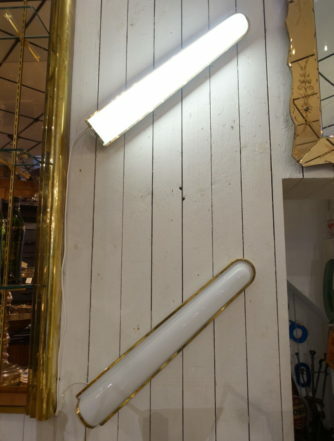 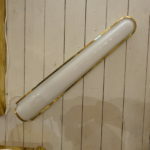 Stunning elongated form, and a super combination of materials (brass and plastic), providing gorgeous all round lighting. 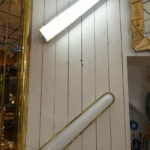 New LED and electrics installed.